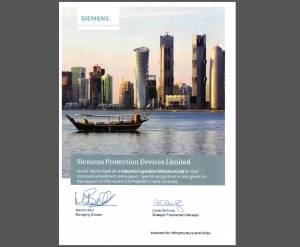 ICW have been recognised by Siemens for outstanding product quality and on time delivery in the face of a high priority bulk order that required a significant ramp up in deliveries at short notice. ICW's ability to respond to customer requirements in this way is one of our strengths. Many of our customers manufacture capital equipment for which demand often changes quickly. Our lean manufacturing, modular product designs and low overheads, ensure we can support changes in customer requirements at short notice. With a typical 5 week lead time and realistic minimum order quantities, ICW offer a valuable service to customers while maintaining competitive prices.